The announcement of Pantone’s Colour of the Year is always highly anticipated with the awarded colour consistently influencing interiors and design trends for the year ahead. This year’s shade has been announced as Living Coral – the perfect shade of orange with golden undertones that represents the welcoming environment of lively coral reefs and carefree happiness. Introduce this year’s hottest tone into your home with help from our retailers at Homeworld Helensvale! 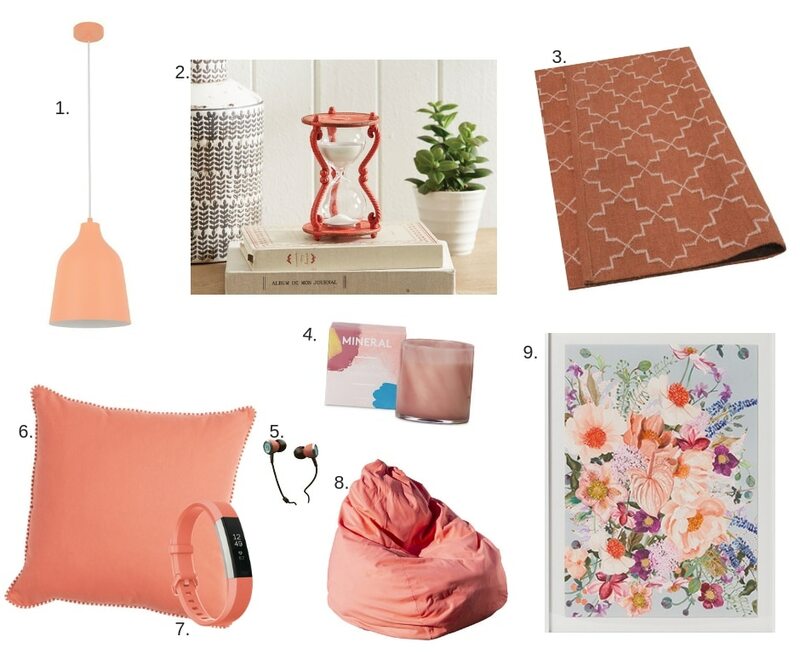 1.Misty Medium Pendant in coral available from Beacon Lighting ($69.95), 2. Morgan & Finch Egg Timer available from Bed Bath N’ Table ( $24.95), 3. Moroccan Rustic Orange Floor Rug available from James Lane ($449), 4. Shimmer Sparkling Pomegrante Candle available from Adairs ($29.99), 5. Audiofly AF33C In-Ear Headphones available from JB Hi-Fi ($29.95), 6. Zona Square Plain Cushion available from Pillow Talk ($29.95), 7. Fitbit Alta HR Coral available from The Good Guys ($174), 8. Zona Plain Bean Bag Cover available from Pillow Talk ($39.95), 9. Neo Florals Coral Bloom available from Adairs ($99.99).